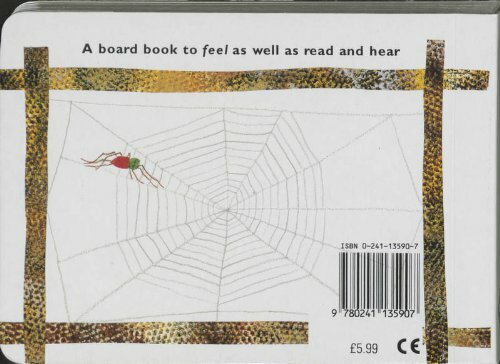 Carle's strong clear illustrations and the repetition within the text made this board book version of The Very Busy Spider immediately appealing to the toddlers but the older children were also entranced by the feely texture on the images of the spider and her web which allows you to trace their progress through the pages with your fingers. Sadly, no one mourned the fly! My older infant school reviewers were concerned that other children their age might not have access to this 'feely book' because parents would consider a board book to be too young for them. Carle's now classic title, The Very Hungry Caterpillar, is also available in board book format (0 241 00300 8, £4.99 pbk).